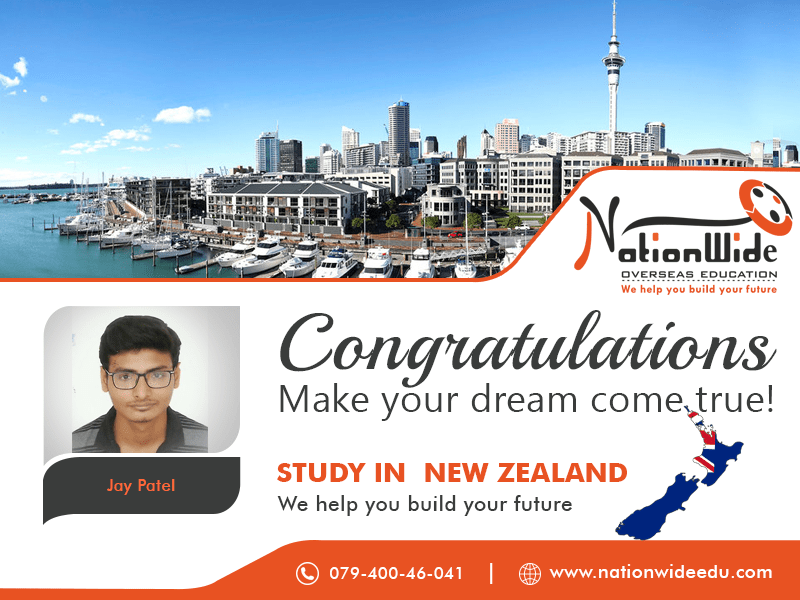 Nationwide congratulate to Jay Patel that he successfully got his student visa of New Zealand. New Zealand, an island in the southwest Pacific Ocean, has become one of the most preferred destinations for students. Their education system targets systematic teaching approach to provide excellent education. We are happy to announce his achievement and wish for many more grand successes in his life.